Condoms Delivered to Ayotte say "Protect Yourself from Trump"
The delivery from Planned Parenthood New Hampshire Action Fund ties together two issues that have landed Ayotte in the news. Women's health advocates have delivered hundreds of condoms to Republican U.S. Sen. Kelly Ayotte's office in New Hampshire bearing the message "Protect Yourself from Trump." Last week, her campaign handed out condoms at the University of New Hampshire to highlight a birth control bill she sponsored. She also said Republican presidential nominee Donald Trump "absolutely" would make a good role model for children but said later she had misspoken. She dropped her support for Trump altogether last weekend after a 2005 videotape emerged of him bragging about grabbing women without their consent. 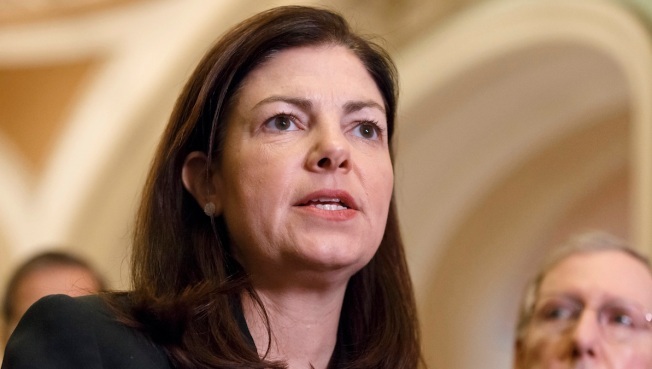 Planned Parenthood New Hampshire Action Fund has endorsed Ayotte's opponent, Democratic Gov. Maggie Hassan (HAS'-uhn).